Another family member joins the throbe. Which brings me to the question: Who's the bhakt now ? The BJP or the INC voter ? ^ She'll lose Vadra very soon. No, this time it is not campaigning. She has a party post - Gen Secy of Eastern UP or some such thing. It has not happened before. ^^ LOL. She won't be too thrilled to be called Maa I believe. Yup may be this time may she came as maa of Rehan Rajiv Vadra. Why do Hindu chewts trivialize their own religion? We are a joke community, servile people. Feudalism and Slave mentality will always haunt India and Indians. Though this could be a blessing in disguise for BJP, a three way fight is always good for them. Congress will field upper caste candidates and will hurt BJP. It's actually solid planning to leave Congress out. Congress will also make sure smaller parties allies with them instead of BJP. So those Congress workers who have worked hard and long are forgetten, and one of the elite family member who has never worked, gets the key post. Yet, these workers and our media don't raise an issue. 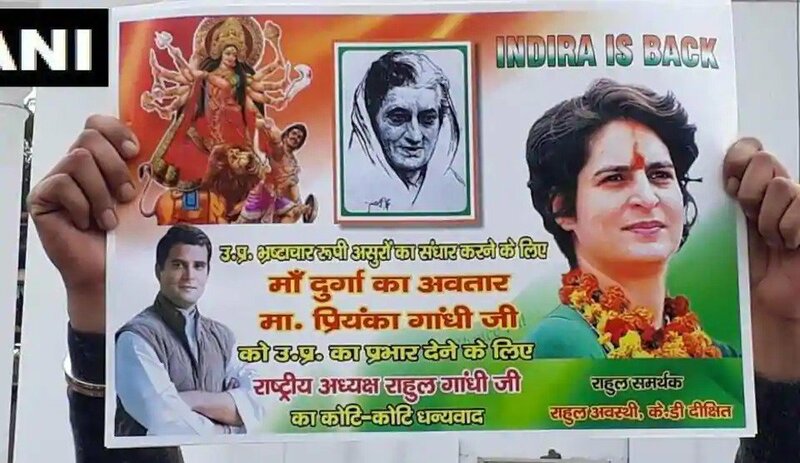 We really do have a culture of people thinking of these Gandhis as gods. 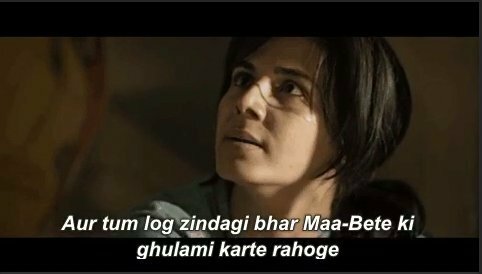 eveyrtime i hear news about the dynasty, i remember this dialogue from indu sarkar. Looks like she will contest from Rae Barali since Soniaji isn't keeping well. Is She going to be the PM candidate then? Goddamn crooks who encourage nepotism, corruption, communalism & what not. The filth started by this family has spread across party lines & even polluted judiciary, bureaucracy in a country of 1.33 billion people. Can you imagine all judges in the country coming from just 400 families? This is a gift from Congress which keeps on coming, no wonder we see politicians getting off the hook so easily. Get ready for the entry of Priyanka's children in politics in a decade or so. 72 years of this useless family and India is still an overpopulated poverty stricken mess. When you have full control over education system and media you can fool people for generations. In the last 10 years of internet era India has gone through a massive awakening. Only people glorifying PG are media frauds or Congressi loyalists whose reputation is already in tatters so its not going to make any impact at least among young people. Akhilesh Pratap Singh has to be the biggest Congressi chamcha of all time. Even his face is so punchable. Smriti Irani should face her in LS, might lose in the bastion but still worth a fight. After MP elections, I'm back to treating 99% of Hindians as chewtiyas... Shock to the system, those results. Gori chamdi ke saamne sab ki reed ki haddi gayab ho jati hai. 2019 is up in the air. You laugh the at dynasty at your own peril. What you really should be doing is expressing contempt and disgust at those who vote for the firangis. Its way past time to call the virus out. Vote dena, vikas ke liye nahin. Listen HMV. RaGa has met his match.